I'm running on Windows 7 on this machine. Railo should look to do something like this on their home page too. Perhaps they could liaise with Abram Adams of trycf.com fame to get that integrated into their site? Disclosure: I tried just go gdayWorld.go to start with, but that was wrong. Fortunately there's a go help option which set me straight. // the corresponding environment(PATH) variable, if it exists. Restarting Sublime, the warning is gone, so I am guessing that's what it wanted to know. 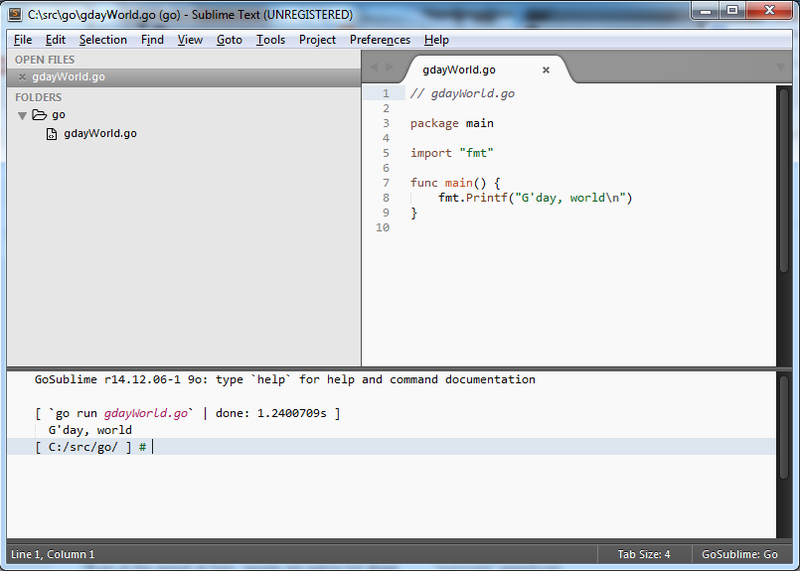 Indeed now I get some code completion assistance, and it tells me when I have a typo. Which I anticipate having many of, so this will be helpful.